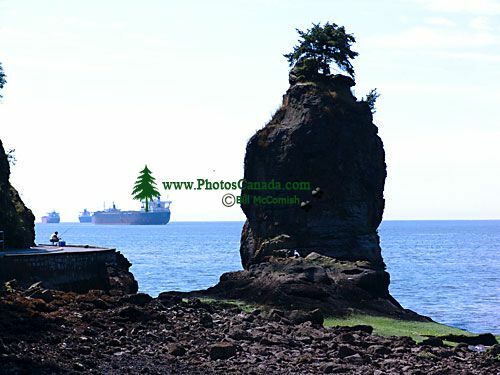 Description : Siwash Rock is a famous rock pillar along the seawall route. It is a remnant of a rocky point of resistant volcanic rock that was breached by wave erosion. Stanley Park’s forested peninsula juts into Burrard Inlet. Winter storm waves from the Strait of Georgia have eroded the western side of the park exposing its bedrock foundation. The popular seawall walk is a great place to observe the park’s geology.